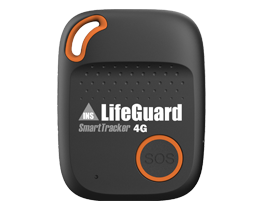 Take your medical alarm with you wherever you go with our LifeGuard Mobile, SmartTracker or SmartWatch. Just like your standard pendant or wrist transmitter, pressing the HELP button on these devices sends an alarm to our 24/7 emergency response centre. The built-in GPS locator ensures that in an emergency we’ll be able to locate you, speak to you, and send assistance, even if you are not able to respond to our nurses. Feel safe and assured wherever you go. 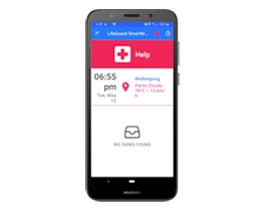 LifeGuard Mobile app is available to download for your existing, compatible android phone. conditions apply, call for more information, or click on any item below to view or download the product data sheet. Take your alarm with you wherever you go. 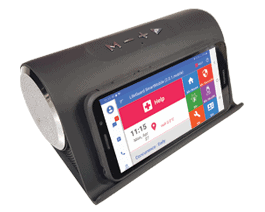 Two-way voice communication, so even if you can’t physically answer an incoming call, the SmartMobile can auto-answer in an emergency so we can still talk to you. Whilst docked it’s charging wirelessly, and features enhanced audio quality via the microphone and speakers in the dock. * Minimum Android 4.1 with 5″ Screen. * Intended for use as a fitness/wellness device. Sensors are not clinical-grade and not suitable for medical assessment. May incur additional charges.